Denise Vaske is a customer service representative at Central Financial Group in Algona. 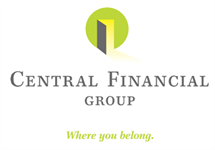 She started her career with Central Financial in 1996. She works in the insurance and investment department. Denise lives in Algona and is married to her husband Keith. They have two very active children, a son Austin and daughter Olivia. In her spare time, she enjoys being with family and friends and attending her children’s sporting events.